Don’t miss your next turn or exit. 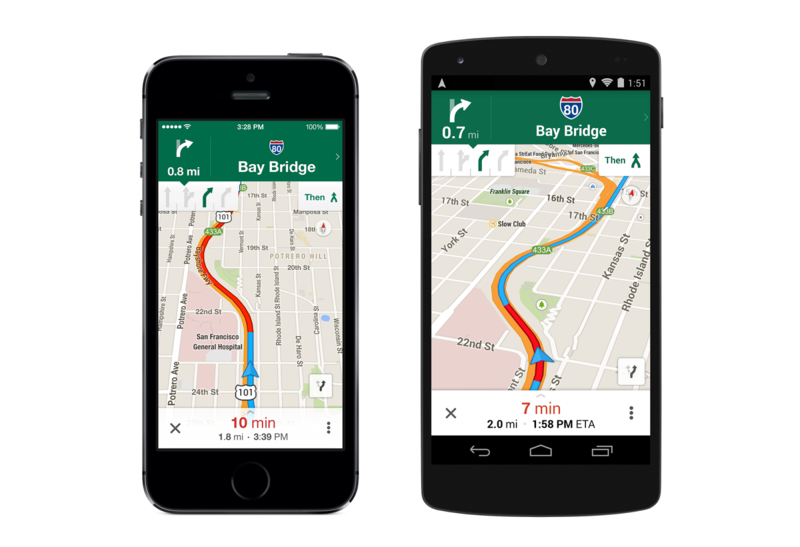 The Google Maps app now shows you which lane to stay in or move to so you’ll never find yourself driving for miles down the wrong road. You’ll also have easy access to alternate routes while you’re navigating, so you can choose the best drive for you. To learn more about lane guidance availability, click here. Don’t worry if you’re not online. 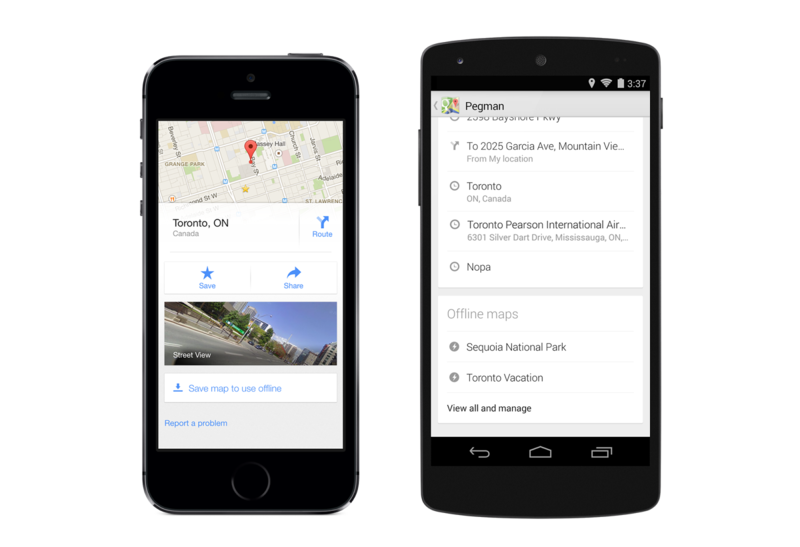 Before setting off on your next vacation, hike, or roadtrip, search for an area and tap on its place info sheet, then when available, you can select “Save map to use offline,” and give your map a custom name, like “Toronto Vacation.” To find your offline maps, sign-in, tap the profile icon next to the search box in the top right corner, and scroll to see “Toronto Vacation” and other saved maps. Don’t be late for last call. 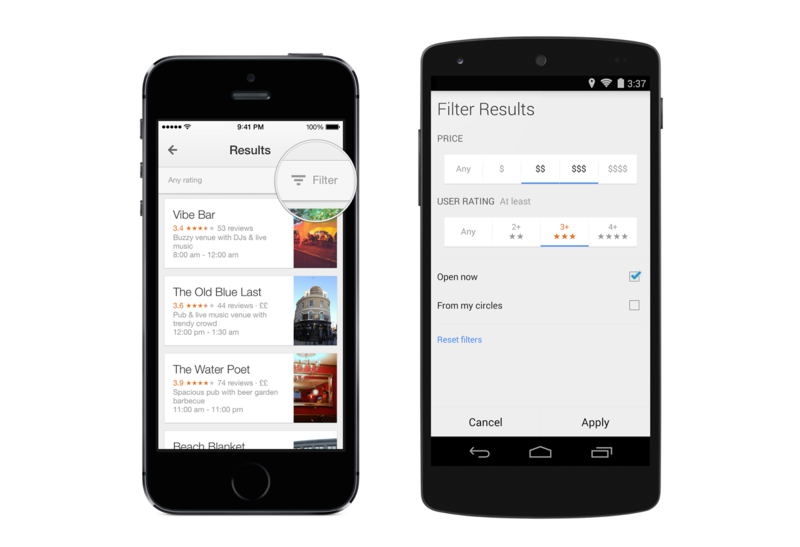 With new filters, you can browse through restaurants, bars and hotels by opening hours, rating, price, and more—where available—to find just what you’re looking for, right when you need it. Don’t limit your options. Frequent Uber rider? 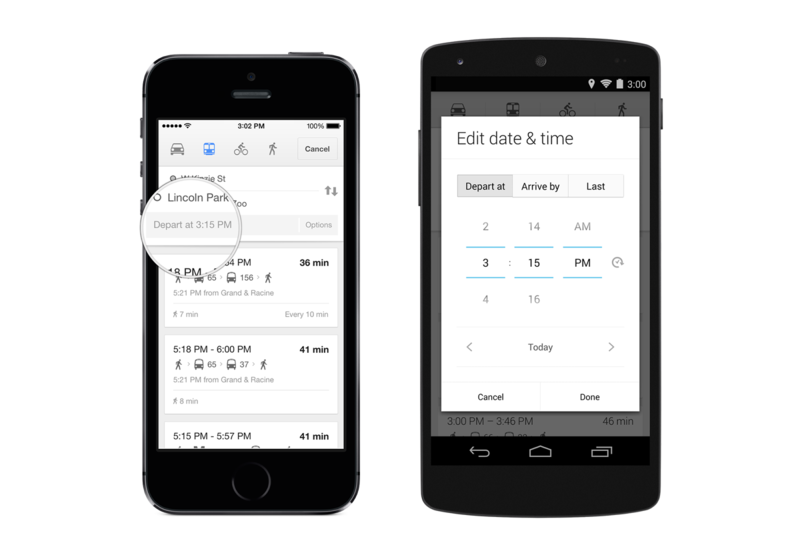 If you have the Uber app installed, you can now compare your ride with transit and walking directions right from Google Maps in some cities. And if you choose the Uber option, you’ll jump right into the Uber app with just one click. Don’t miss that train. 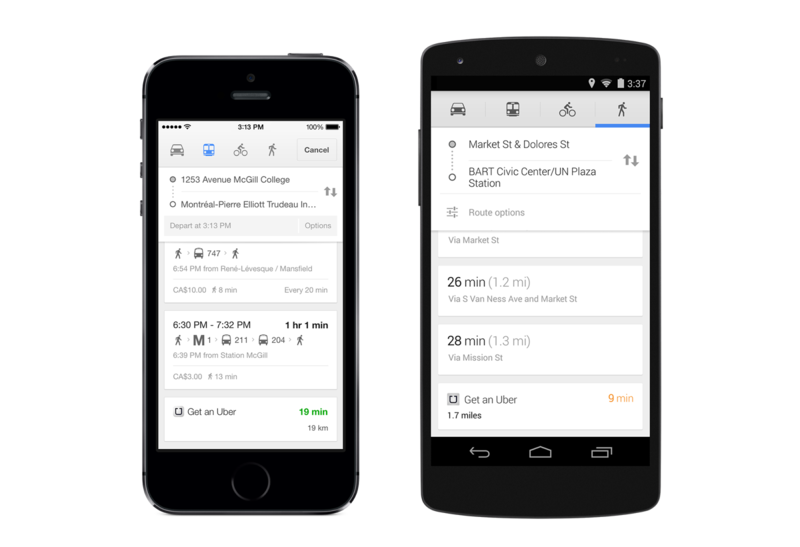 With more than a million public transit stops on Google Maps, you’ll get reliable information to help you get where you’re going. Next time you’re in Chicago, search for directions to Lincoln Park Zoo, tap the train icon, and select “Depart at” to choose the time and day you want to leave—or even “last train home” for those night owls—so you get the most accurate transit information for your needs. Don’t forget the park you wanted to visit. 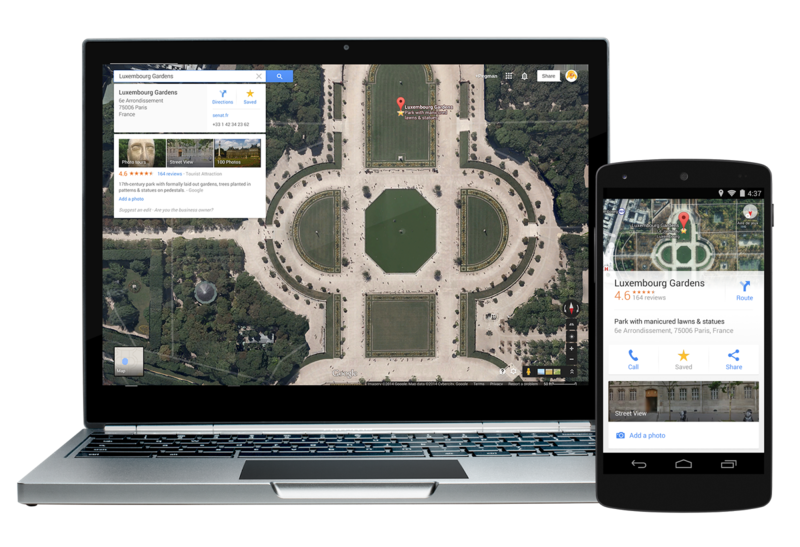 See places you’ve saved on Google Maps across all your devices when you’re signed in. And if you find a place you want to save on the go, search for the location you’re interested in, tap on the place card, and hit the star icon to save the location for later. Don’t wait to explore your next vacation spot. 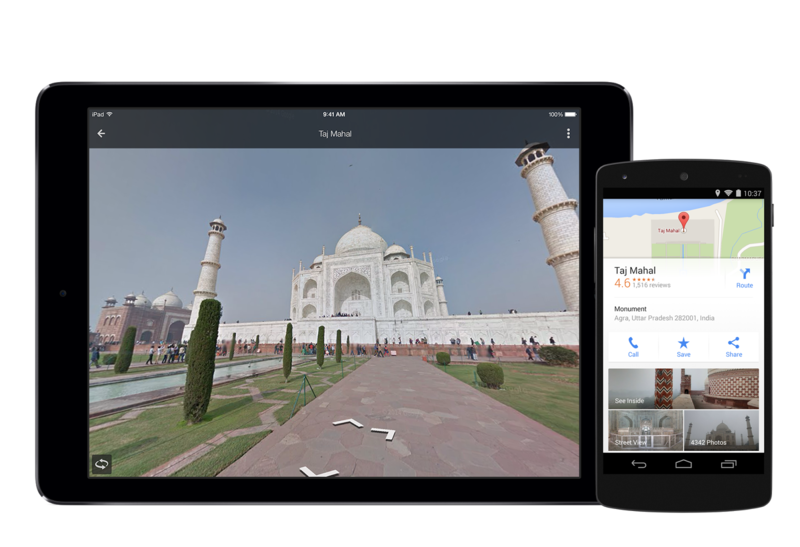 Search for your ideal destination—anywhere from the Gateway Arch to the Taj Mahal—then tap on the place card to dive into Street View where available. You might even get a peek inside some hotels, restaurants, and more. So, next time you’re caught up in a whirlwind of activity, make navigating your world a little easier. Take a moment to grab your phone, open up the Google Maps app, and find all you need to search, navigate and explore the world around you. Don’t worry—we’ve got you covered.